There are many types of pet turtles, and some are common and inexpensive while others may be rare and will cost a lot more to own. You will be able to choose from small pet turtles that enjoy a water habitat to larger land turtles that enjoy being in the yard. 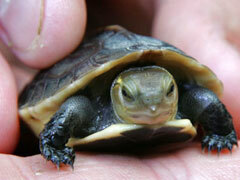 Box turtles are a popular pet, but these can become large and are not a good choice for an indoor pet. A box turtle will require an outside habitat, something that may not be possible in crowded areas and cities. Pet snake supplies are an essential part of owning a snake, and there are some items that you will need to ensure proper care and feeding of your pet. The first thing you need to consider is the size of your pet as an adult, and then find the proper size tank or cage. Small pet snakes do not require as much room as larger species, but you will still need one that is adequate in size and a top that can be locked or clamped down to prevent any escapes. Necessary pet snake supplies will also include a heating pad, to control the temperature and provide heat, as well as substrate for the tank bottom. Small pet snakes for beginners should be easy to care for, have a good disposition in temperament, and stay small even when they reach adulthood. There are a number of snakes which meet all of these requirements, and any of them can make an excellent first snake for an inexperienced owner. 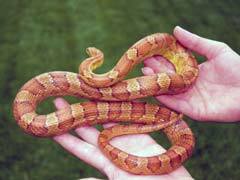 Pet corn snakes can be ideal, because they do not require any special care and are generally very docile and easy to get along with. 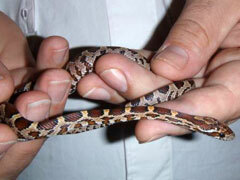 Corn snake care and feeding are both important considerations if you own one of these pets. You will need a tank which is a minimum of twenty gallons, and you will need to have a top which is sturdy and allows you to clamp it securely. 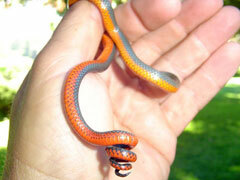 Pet corn snakes may constantly try to escape, and can fit in small spaces. You should always offer a hiding space in the cage, so the snake has privacy and a place to get away when stressed. Feeding Geckos – Mealworms or Crickets? 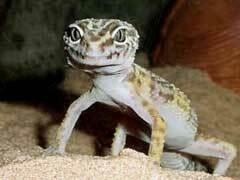 When it comes to feeding geckos which is a better choice, mealworms or crickets? Both of these prey food sources have benefits and drawbacks, and there are a number of considerations that you need to look at before making a final decision. Keeping geckos as pets does not have to be difficult, but you will need to make sure you provide an exceptional diet for your pet so they stay healthy and live longer. 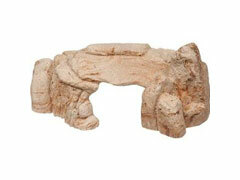 This means determining whether crickets or mealworms are a better choice for feeding geckos. To do this you will need to look at the benefits and drawbacks of each food choice, and although you can offer both types periodically you will need to decide which one will be the main food source for your gecko. One of the chameleon pet facts that is astonishing is the wide variety of species and appearances that these lizards can include. 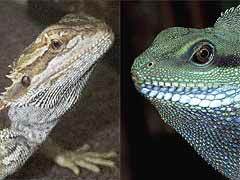 There are over one hundred species of this lizard type, with varying colors and physical features. 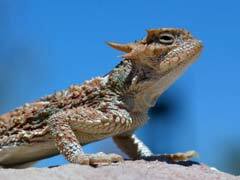 Some, like the Jacksons Chameleon, has horns and look similar to prehistoric dinosaurs. Chameleon pet care can be difficult, especially for inexperienced reptile owners, because of the requirements that this lizard has. 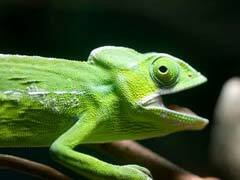 One of the most important chameleon pet facts that should be considered before you decide to get one is the lifespan of this type of lizard. Chameleons can live for between two and ten years for the most part, and this will depend on the specific species as well as proper care being given. Understanding the proper bearded dragon diet can require a little time and research, because these lizards have certain nutritional needs which require careful planning and consideration. If the diet given does not contain the correct varieties and amounts of bearded dragon food types then your lizard could become stressed, ill, or even die off from nutritional deficiencies in their diet. 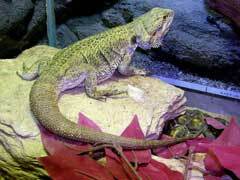 Supplements are usually needed in a bearded dragon diet, because calcium deficiency is a common problem. The calcium and phosphorus ratios in the diet must be controlled, because a lot of foods high in phosphates in the diet will interfere with the calcium absorption of the dragon. There are many different types of pet snakes, but which ones are for beginners and make the best pets for everyone? Most experts recommend that you start out with small pet snakes and smaller less aggressive species, so that you get used to taking care of them and handling them properly. There are some snakes that do not make good pets at all, even for experienced handlers, and these are the larger constrictors and pythons which can get huge.